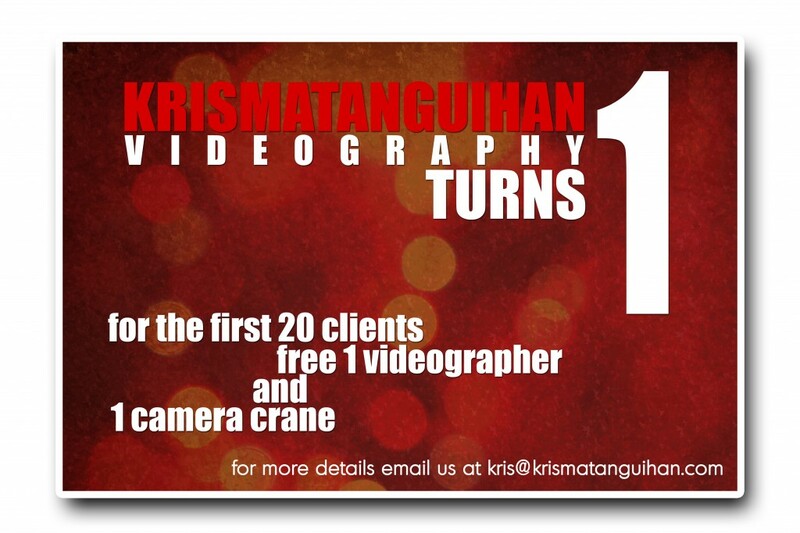 Kris Matanguihan Videography turns 1, and I’d like to thank everyone who has been supporting the business from the start! Thanks to all the clients, the suppliers, and the visitors — without you, my first year would not have been the same! As a thank you, I am offering the following promo: free crane with extra camera! for the 1st 20 bookings starting april 1, 2010 to december 31, 2010..